On the spectrum of no-nos in sports, and especially cycling, doping shoots off the chart, as evidenced by the sheer number of asterisks next to disgraced Tour de France champions. 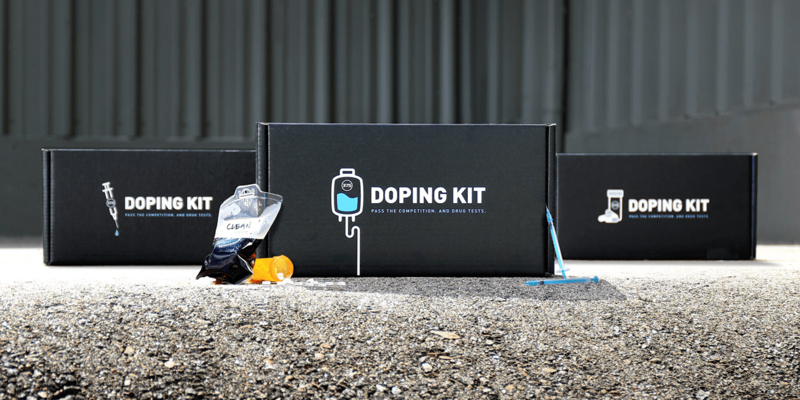 As the venerable cycling race meanders through the country, 37.5 launched “Dope With This,” a kit that references the phenomenon of illegal doping—but won’t break any laws or race rules. The stunt, with the help of Work In Progress, the agency behind the world’s most remote pop-up shop last year, is inviting cyclists to try the 37.5 Technology fabric in the form of a cycling jersey, bibs and socks that will be offered each day of the race. When worn, the material reduces an athlete’s core temperature while active, similar to wearing a cooling vest circulating cold water and akin to the less legal practice of using drugs for optimal performance. Science is on the brand’s side with a University of Colorado study showing that the fabric allows an athlete to perform 26 to 28 percent longer, adding that “the temperature build-up or length of output” were similar for both the 37.5 shirt and a larger cooling jacket. 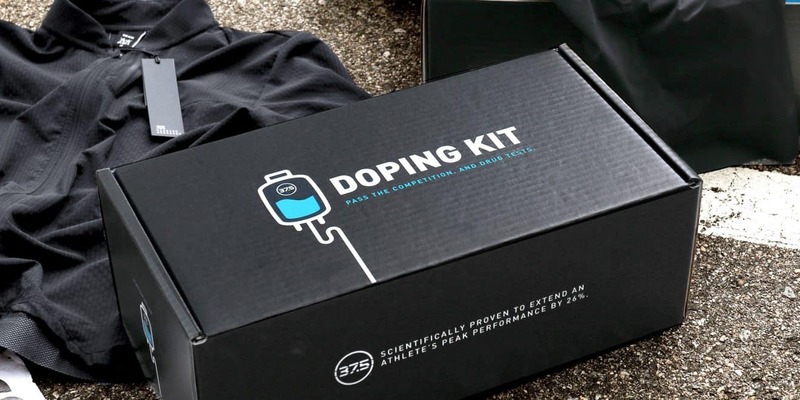 The goal for the brand may seem simple but is actually ambitious, considering that the 88 cyclists who participate in the Tour de France are likely to have contracts in place that prevent sampling 37.5’s wares. 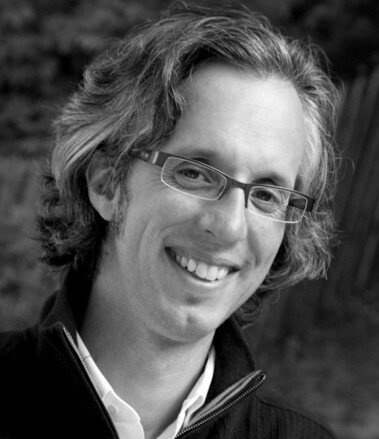 “If we can convince even one clean athlete to start doping with our fabric technology, then it’s all been worth it,” said Dr. Greg Haggquist, CTO and founder of Cocona Inc., the parent company of 37.5 Technology. All told, the hope is that the siren song of legal doping is enough to convince cyclists to try to get the upper hand again and again.